The World Protection Group has deep experience and capabilities in investigating, managing, and responding to threats. Our security teams do this on a regular basis for our clients and we also provide this service on a one-off basis for individuals and organizations. If you have received, or anticipate receiving, a threat, please contact us at (+1) (310)390-6646, or fill in our Contact Form and one of our security experts will be in touch for a confidential and no-cost consultation to help you evaluate your options. Protecting your employees, family and yourself require vigilance and attention to warning signs. World Protection Group security consultant experts have the training, resources, and experience to assess the validity and extent of the risks associated with a particular threat and provide guidance to minimize them. Through a series of proven processes, our experts can quickly conduct an assessment of the situation and develop a threat management plan and course of action. Our teams work closely with law enforcement to collect information, gather potential evidence and monitor communications. If necessary, the threat management plan will outline increased security measures and a plan of action based on the developing threat. 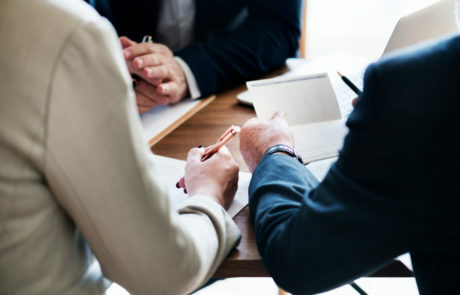 Our experts will also offer advice regarding quick response options, legal recourse, liability issues and other measures to disrupt the pattern of threats to resolve the problem. If the circumstances warrant, this appraisal will include an independent threat assessment by Threat Assessment Group, Inc. (TAG), whose behavioral analysts are leading forensic psychiatrists, forensic psychologists, and former FBI profilers. TAG’s recommendations will help target our approach, helping us to provide even more efficient and effective Protective and Threat Management services. As a threat is being assessed, a World Protection Group security team must also consider a range of responses, including some or all of changes to the target’s security procedures, placing the threat originator under observation, seeking a protective order in court, and/or partnering with or referring the matter to law enforcement for an arrest. Our procedures for threat investigations are modeled after those of the United States Secret Service.